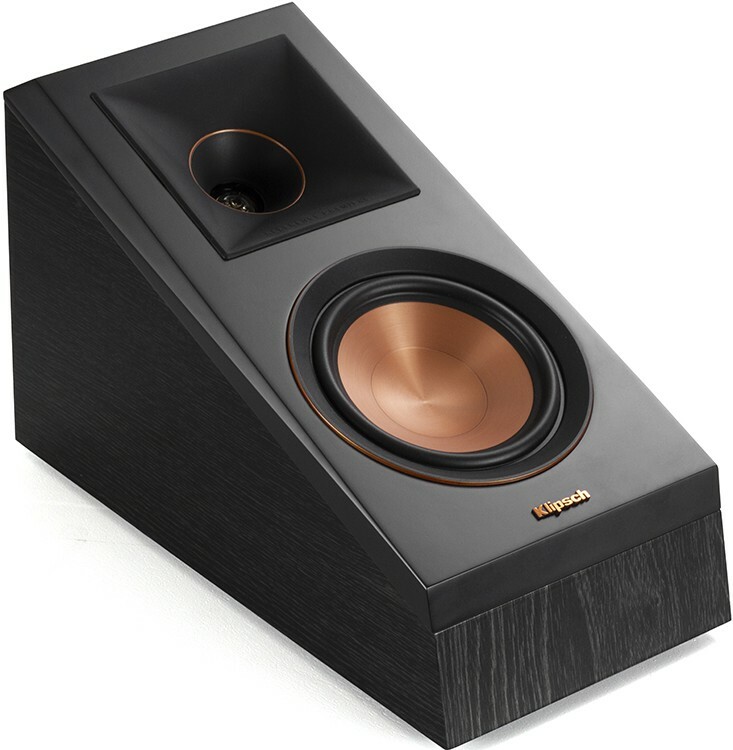 RP-500SA is a Dolby Atmos certified speaker which is ideal for adding a height channel to any speaker from Klipsch's Reference Priemere range or alone as an on-wall or surround speaker. Earn 575 loyalty points when you order this item. 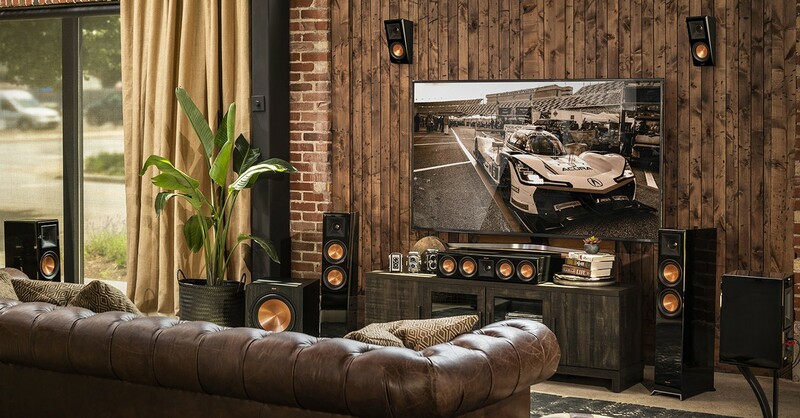 Klipsch RP-500SA enhances your home theatre system with the incredible, overhead sound effects of Dolby Atmos. 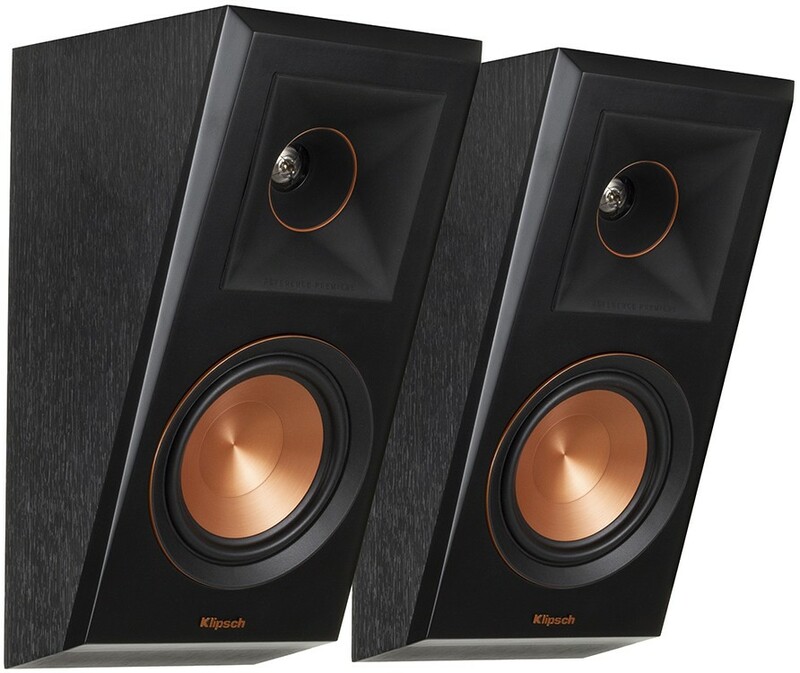 Klipsch's proprietary horn-loaded controlled directivity technology lets the RP-500SA bounce sound off the ceiling to create an astonishing, immersive listening experience. The RP-500SA can be used as an up-firing immersive speaker for Dolby Atmos Technology, a height speaker or a rear surround model all with the flip of a switch. It can also be used as an on-wall elevation or surround speaker via its easy-to-use keyhole mounting system - delivering the perfect angle for enhanced sound effects. Immersive sound comes alive from all directions including overhead, with these speakers. 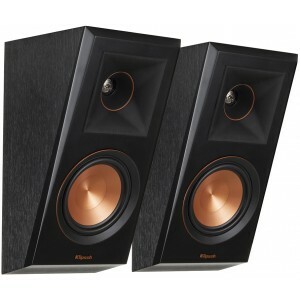 Add to any monitor or tower speaker or use as surround speakers for a hemisphere of rich, detailed sound. A signature feature on the Reference Premiere series, the spun copper cerametallic woofers are exceptionally rigid and lightweight for minimal distortion and maximum efficiency. When paired with the Tractrix horn-loaded LTS tweeter, it provides the highest speaker efficiency in its class. The exclusive Linear Travel Suspension minimises distortion for enhanced, detailed performance. LTS titanium diaphragm tweeters are a hallmark of previous Reference lines, making it a core component of some of the best speakers in the world. The new vented tweeter housing reduces standing waves that create unwanted harmonics, resulting in enhanced detail and clarity in high-frequency reproduction. 90° x 90° tractrix horn loading maximises efficiency and increases detail while focusing high frequencies towards the listening area. Proprietary Tractrix geometry provides the most efficient transfer of high-frequency waves into the listening area. The phase plug and compressed moulded silicon face ensure smooth frequency response. When combined with the silicon composite, the cleanest, most natural sound possible is created. The RP-500SA features a switchable crossover that changes between Atmos and Surround speaker modes, for optimized performance as a Dolby Atmos Elevation speaker or a wall mounted side or rear surround. To put it simply, Dolby Atmos is the greatest advancement in home and cinema audio since surround sound. RP-500SA is a Dolby Atmos certified speaker, tested and approved by Dolby labs to faithfully reproduce their elevation effects with power, accuracy, and detail. Adding this speaker reflects sound from the ceiling to fill any part of your room - so you feel like you’re truly in the middle of the action. Reference Premiere ebony and walnut finishes boast satin painted baffles with a scratch resistant design for an elegant audio solution to your home theatre system. Strong, flexible, magnetic grilles provide protection and a sleek aesthetic to compliment your home's decor.